My arms were super sore after Murph on Saturday. Which surprised me because I’ve been doing Murph every month for the past two months and was fine afterwards. 3 thrusters, 10 pull ups, 4 thrusters, 10 pull ups, etc through 12 thrusters and and it was an AMRAP (as many rounds as possible). Which meant I did 140 pull ups (all strict). My new favorite photo. Check out my lats! Not the smartest thing to do before Murph. But I never think of the number of reps involved and how many I’ll actually do. I didn’t think I’d get that far in the first place. The point is I’m pushing myself really, really hard these days, and it catches up eventually. The nice part is now that I’m doing my own programming I’m constantly adjusting it based on how I feel. I plan for the week, but change it as I go along. I’m thoroughly enjoying this life I lead. Immensely. I may not be invincible. But I am unstoppable. 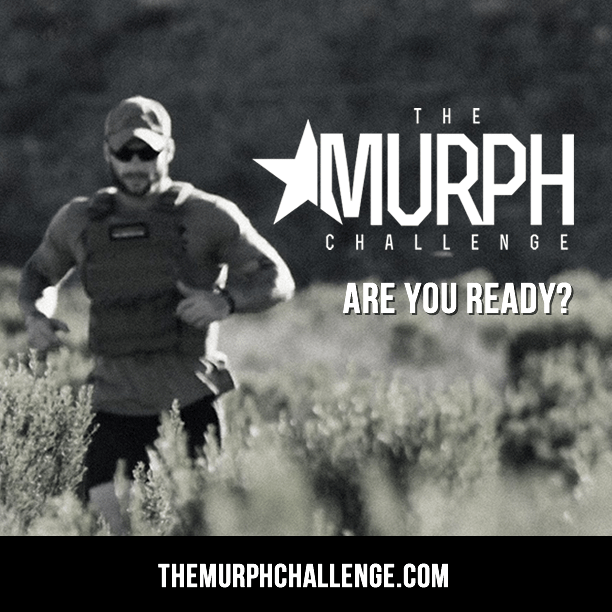 Murph is getting easier and easier for me. I’ve now done it once a month for 2 months and already it’s not all that bad. My stressors have definitely gone up. You expose the body to more and more and it adapts amazingly well. I’ve upped my game, and it has helped my confidence tremendously. It started last week where I decided to do my own programming. It really started before that about a year ago when I decided to do my own strength and accessory work. But it’s just been recently I’ve upped it a notch–a big notch. There’s just so much to do I find myself constantly at it whenever I get the chance.